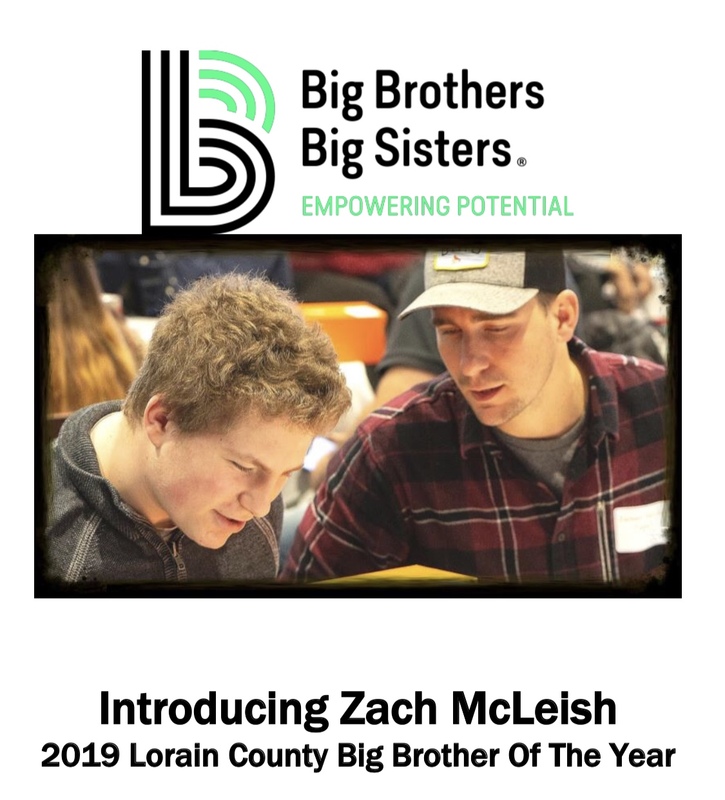 Congratulations to RTA Transit Police officer, Zach McLeish for being awarded the 2019 Lorain County Big Brother of the Year! Since being matched to Little Brother, Hunter in November 2011, they get together twice per week enjoying activities such as going to the park, going to the movies, and even bonding over their love of Fantasy Football. Luckily, they only live a block away from each other. Zach, a military veteran, was deployed twice for 6 months at a time while being a Big Brother to Hunter. But, that didn’t stop their relationship from growing. Zach made it a goal to keep in touch with him. After the sudden passing of Hunter’s grandmother, Zach made time to Skype with him to make sure Hunter knew he had support. A member of the United States Air Force since 2009, Zach knows the importance of keeping in touch with family and friends while deployed. After his most recent deployment to Afghanistan in 2018, he had one thing on his mind when arriving back home; and that was to see Hunter. Hunter’s mother knew raising twin boys on her own was going to be a struggle and wanted a positive male influence in Hunter’s life. She never imagined Zach would be such a blessing to their family and even calls Zach a “lifesaver”. She thanks him for taking Hunter under his wing and showing him what it takes to be caring, kind, and responsible. Zach has truly played a key role in Hunter becoming the man that he is today. All of us here at RTA would like to congratulate Zach and Hunter on being recognized for their special bond that will last a lifetime!